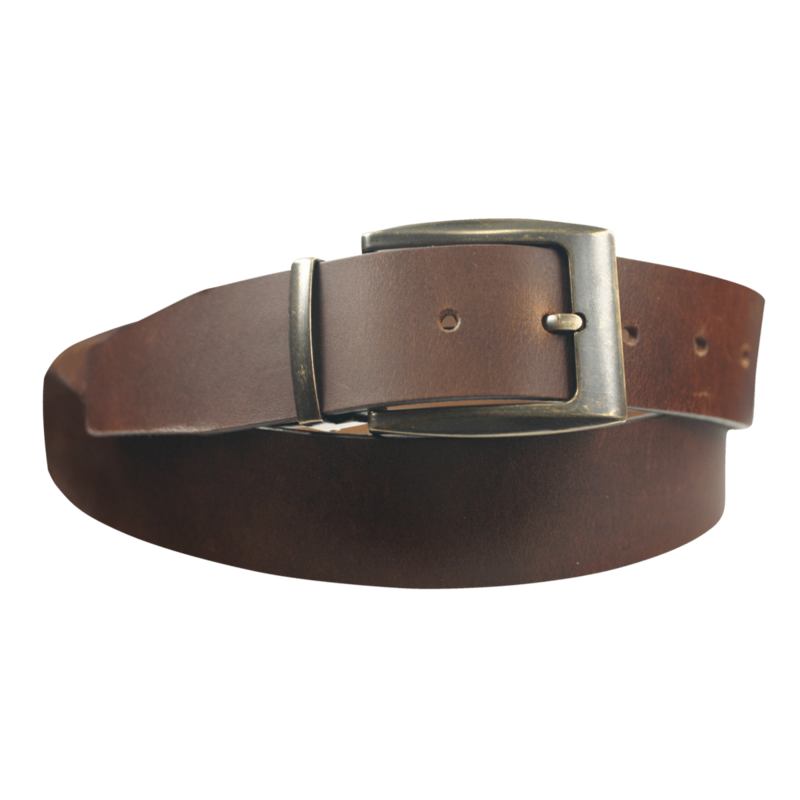 Brown leather belt in vintage style. The buckle has a used look optic. 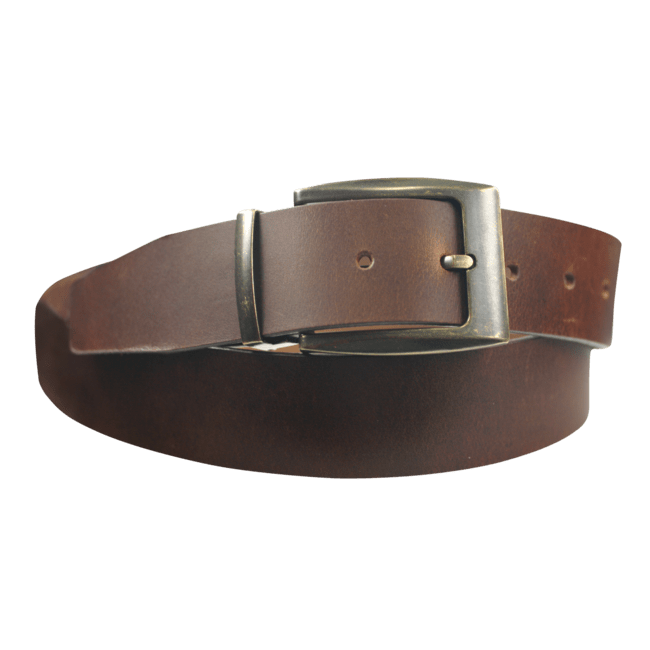 Belt can be shortened as required.